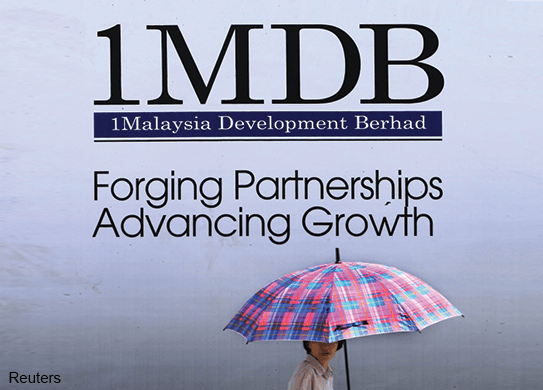 (June 17): Debt-laden 1Malaysia Development Bhd (1MDB) had terminated auditors KPMG during an audit of the government strategic investor's 2013 accounts, the Public Accounts Committee (PAC) was told today. Auditors Ernst Young were also terminated when carrying out the 2010 audit in the company which has since racked up RM42 billion in debts. Officials from the global audit firm KPMG told this to the bipartisan committee, which had a hearing into 1MDB today. But PAC chairman Datuk Nur Jazlan Mohamed said they did not know why the auditors were terminated, as the KPMG management questioned today did not explain. "In December 2013, 1MDB terminated KPMG's services. So, we asked them why their service was terminated," the PAC chairman told reporters at a press conference in Parliament today. When pressed further, Nur Jazlan said "it is the right of the company (1MDB) to terminate their services." "They just said they were terminated. We will have to ask the 1MDB management for the reason," he added. "They informed us they took over from Ernst & Young after Ernst & Young was terminated as 1MDB's auditors in 2010." 1MDB's frequent change in auditors has been viewed with concern. Currently, the Finance Ministry-owned firm's accounts for the financial year ending March 31, 2015, have still not been audited, prompting the PAC yesterday to urge Putrajaya to authorise current auditors Deloitte to immediately go through the firm's books. The government had earlier said the audit was being delayed because the Auditor-General was still going through 1MDB's accounts.